The Sagittarius, born between November 23 and December 21, are curious and energetic people. They are one of the biggest travelers of the zodiac due to their free spirit and open mind. With their big, bold, extrovert personality they leave a lasting effect on people around them. Let’s see what other personality traits make the Sagittarius the best sign of the zodiac. One of the best trait of Sagittarius people is that they are very optimistic by nature. Just being around a Sagittarian, will help you see the brighter side of life. They encourage people to see the best side of things and they make you feel like everything is possible. This energy is contagious and will infect you with positive feelings and pure joy. It is hard to follow a Sagittarius, they are always on the move. They cannot stay in one place and these explorers are in love with freedom. One thing for sure, life is never boring with a Sagittarius friend or partner. They will always be up for exciting things, and undoubtedly they are the best travel buddies one can wish for. Sagittarians crave knowledge and eager to dig deeper to find a deeper meaning in everything. They often have a philosophical view. 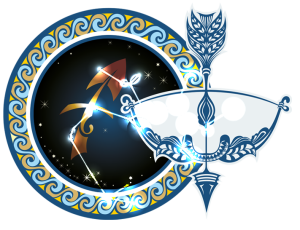 Sagittarius-born are versatile beings with a wide variety of interests and hunger for knowledge. They are curious minds, seeking new information, new viewpoints, and new ways of thinking and crave deeper human relations. As we already mentioned, freedom is essential to the Sagittarius’ well-being. They are the adventurers of the Zodiac, they enjoy traveling independently, searching for the meaning of life in their travels. Often it is difficult for them to settle down as they adore change. Sagittarius people are the ultimate social butterflies. They love having friends around them. Most of the time they are the life of the party, making everybody laugh in the room. They seek knowledge and adoration, but above all else, they seek lots of fun. Most Sagittarians have a great sense of humor. With a little sarcasm they turn everything into a funny joke or a hilarious story. How do you know if your Sagittarian date likes you? He or she will be playful and will try to make you laugh with their funny skills and odd behaviors. Some of the most kind-hearted people you can ever come across are Sagittarians. They are really caring for each person around them. They not only have a protective nature for their loved ones but they are often genuinely concerned with the environment and the world. Sagittarians never loose their young spirit. They remain enthusiastic and cheerful even in their senior years. It is because they love energy and spontaneity and they are always ready for action. It will boost your mood and will make you feel just as lively as they are. Their energy is contagious! Sagittarians can’t lie, they are always honest about how they feel. If you need an opinion about your outfit or new boyfriend, ask your Sagittarius friend. She will tell you the whole truth, even when you don’t want to hear it. They are straightforward people, they speak their mind and save you the trouble of misunderstandings. Sagittarius-people are keep pushing the boundaries. They are always searching for a new goal in their life. Since their energy is contagious, having a Sagittarius close to you will cause you to do the same. They want to be successful, and they are. Align yourself with the Archer and he or she will encourage you to reach further and push harder in your own life.